Mrs. DeLaittre sends a donation and enquires about having some materials sent to her. 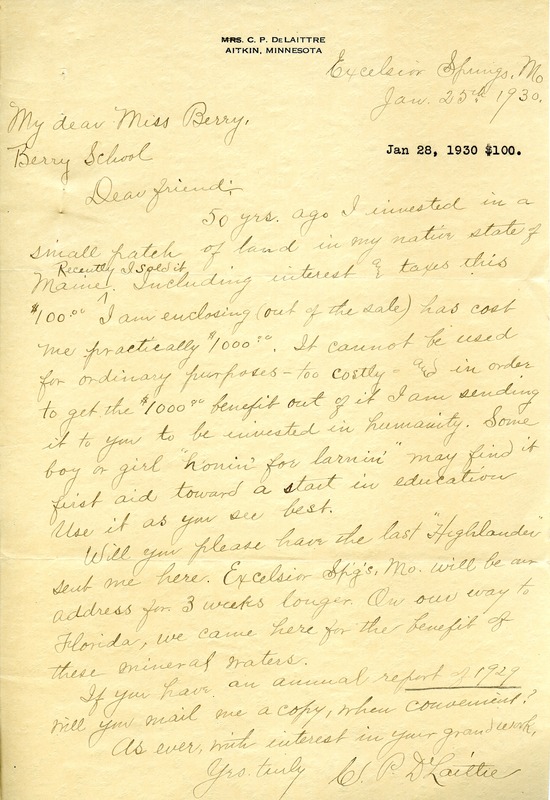 Mrs. C. P. DeLaittre, “Letter from Mrs. DeLaittre to Martha Berry.” Martha Berry Digital Archive. Eds. Schlitz, Stephanie A., Angela McCavera, et al. Mount Berry: Berry College, 2013. accessed April 18, 2019, https://mbda.berry.edu/items/show/12324.